PLEASE NOTE: Stock status refers to availability from our warehouses, and does not necessarily reflect our current stock in the store. Call or email to check store inventory. 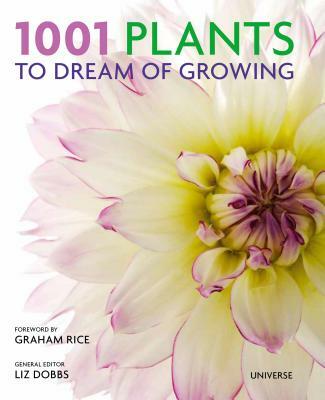 This generously illustrated, fact-filled volume showcases more than 1,000 outstanding plants that run the gamut from childhood favorites and heirloom rediscoveries to the latest introductions and new cultivars. Plants are the backbone of a garden, and this book provides invaluable guidance in deciding what to grow next, from childhood favorites, rediscovered heirlooms, and curiosities to the latest introductions from hybridizers and plant hunters.The book is organized first by the groups in which plants are usually sold (annuals, bulbs, perennials, etc. ), then by globally recognized botanical names, with common names where relevant. It includes plants useful for the smallest spaces, such as window boxes and patios, to those suitable for larger plots. There are also selections for seasonal interest, edibles, and houseplants. Chosen by an expert team of garden writers and plant lovers with the home gardener in mind, featured plants delight the senses by providing delicious fruit or beauty in flower, foliage, or scent. While choosing the right plant for the right place is a bedrock principle of modern gardening, new issues have risen to the forefront lately, so the book also flags plants according to a range of timely considerations such as drought tolerance, potential invasiveness, native plants, poisonous plants, pollinator friendliness, and similar concerns. Like a knowledgeable friend, the book helps the user read between the lines of horticultural marketing to discover the most rewarding and best performing plants. Liz Dobbs, formerly the editor in chief of Gardens Monthly magazine, is the author of numerous books including Small Is Beautiful: Getting More from Your Crops and Keep Calm and Pot On: Good Advice for Gardeners. "This gorgeous book is meant for anyone who is an aspiring gardener or an expert horticulturist, regardless of green-thumb abilities or current state of a reader’s yard or window box."